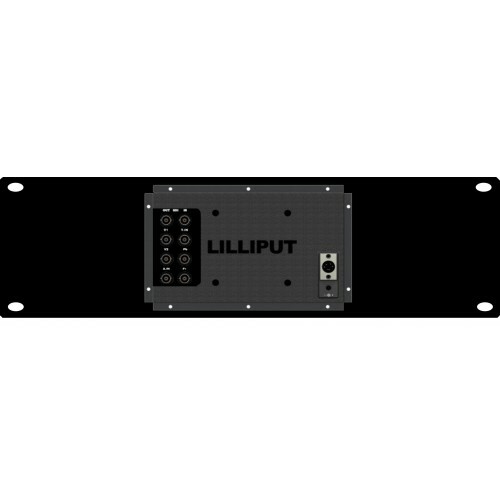 The Lilliput RM-1013/S is a rack mount installation of the Lilliput FA1013-NP/H/Y/S monitor unit. The system comprises one of our OF1013/S units mounted into a 19" 4U sized rack mount bracket. The monitor has a 10.1" widescreen TFT LCD panel, with SDI, HDMI, YPbPr (via BNC) and Composite (again via BNC) input types. 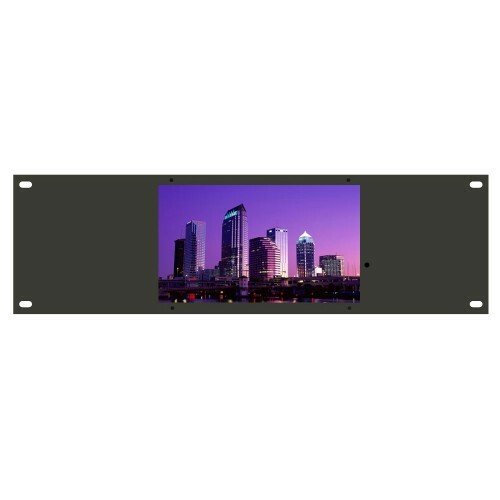 The RM1013/S sports a 10.1" LCD panel, and is ideal for users who need an SDI input in a rackmount environment. This has applications for CCTV systems, professional broadcasters, and for performance monitoring. Thee monitor panel is mounted within a mild steel frame which is then mounted to a bespoke 19" rack frame - making a solid anchor for the system. The panel of the RM1013/S boasts a clear, sharp picture thanks to a high contrast ratio and LED backlight. The matte display presents accurate colours and leaves no reflection on the screen. What's more, LED technology brings great benefits; low power consumption, instant-on back light, and consistent brightness over many years of use. Natively 1024×600 pixels, the RM1013/S can support video inputs up to 1920×1080 through both SDI and HDMI. It supports 1080p and 1080i content, making it compatible with most HDMI and HD sources. With a wide range of inputs - to SDI, HDMI, component and composite video inputs - on the RM1013/S/S, it can be found in all kinds of pro-video applications. Typical uses include TV broadcast centres, security monitoring rooms, in-house A/V installations, and with mobile camera crews.